What could you accomplish in just 30 days? How about getting into knockout shape — with a workout designed to help you drop serious weight, carve your entire core, and leave you feeling empowered! CORE DE FORCE is the first program from our newest Super Trainers Joel Freeman and Jericho McMatthews. From strength training to dance to yoga, they’ve helped thousands get fit with all kinds of workouts. And they’ll be the first to tell you… if you want to transform your entire body and shed the belly fat, nothing beats CORE DE FORCE‘s mixed martial arts-style training. Who is Core De Force For? Core De Force is for EVERYONE. Whether you are a beginner, intermediate or advanced level in your fitness you can do this workout. You will enjoy the challenge of taking the intensity higher to improve your cardio strength, speed and endurance. Each MMA inspired workout has an optional move breakdown to help you get familiar with the combinations. There is also a “modifier track” so you can follow a split screen if you would like as well. Anyone who wants to tighten up their midsection, carve a stronger core, and sculpt total-body definition. CORE DE FORCE is great for intermediate or advanced exercisers-or graduates of INSANITY MAX:30™, TurboFire®, or P90X®-but beginners and people who are looking for significant weight loss can follow the modifier and drop serious weight too.It’s also a great choice for people looking to try a workout inspired by mixed martial arts. Trainers Joel Freeman and Jericho McMatthews packed CORE DE FORCE with Boxing, Kickboxing, and Muay Thai moves that are both effective AND empowering. 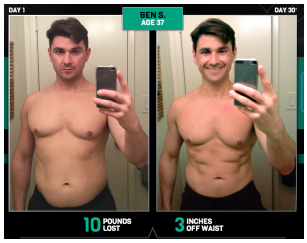 Those who want to see results fast will also love the program. The high-energy mix of combinations, bodyweight training, and cardio is designed to get you into knockout shape in 30 days. How much will Core De Force Cost? The price of the program will vary. What I suggest is purchasing the challenge pack as that is the absolute best value! You will receive the program for a fraction when you purchase it as a challenge pack! The challenge pack will cost $140. It will include a 30 day supply of Shakeology, the full Core De Force program, as well as a meal guide to follow! What are the Portion Control Eating Plan details?The Portion Control Eating Plan is not a recipe-based plan like other Beachbody nutrition plans. Here’s how it works: Start by calculating a calorie level based on starting weight. Next, find the calorie chart that corresponds with the calorie level. This will indicate the daily allotment of color-coded containers. From there, the Eating Plan shows a list of foods that can be eaten with each color-coded container. Then, just fill the containers with the foods from the list, up to the daily allotment of the containers. No required recipes. No required number of meals. No required foods or ingredients. If it fits in the container, it can be eaten! 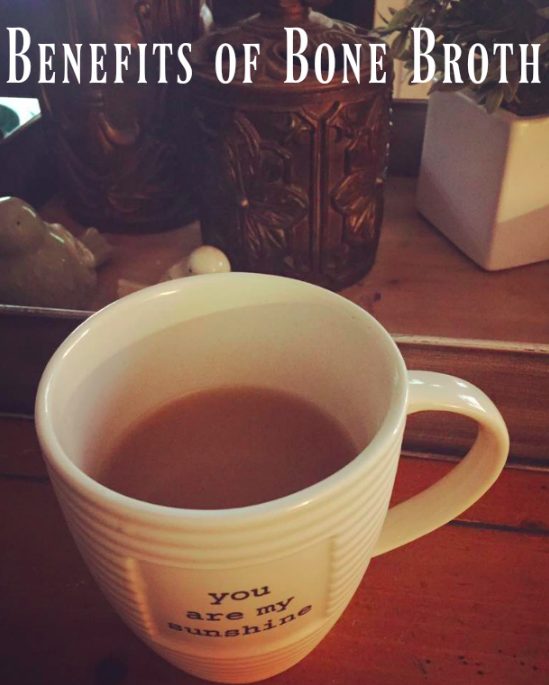 Sipping on delicious bone broth! Why bone broth? ✅Gelatin it contains makes stronger nails, is anti-aging, anti-tumor, arthritis and joint pain relief, supports insulin regulation, & helps normalize stomach acid.